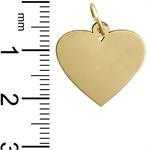 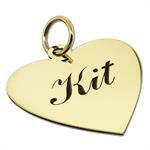 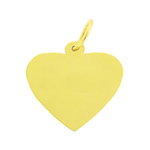 Express your love with a 14k solid gold engravable personalized heart charm. 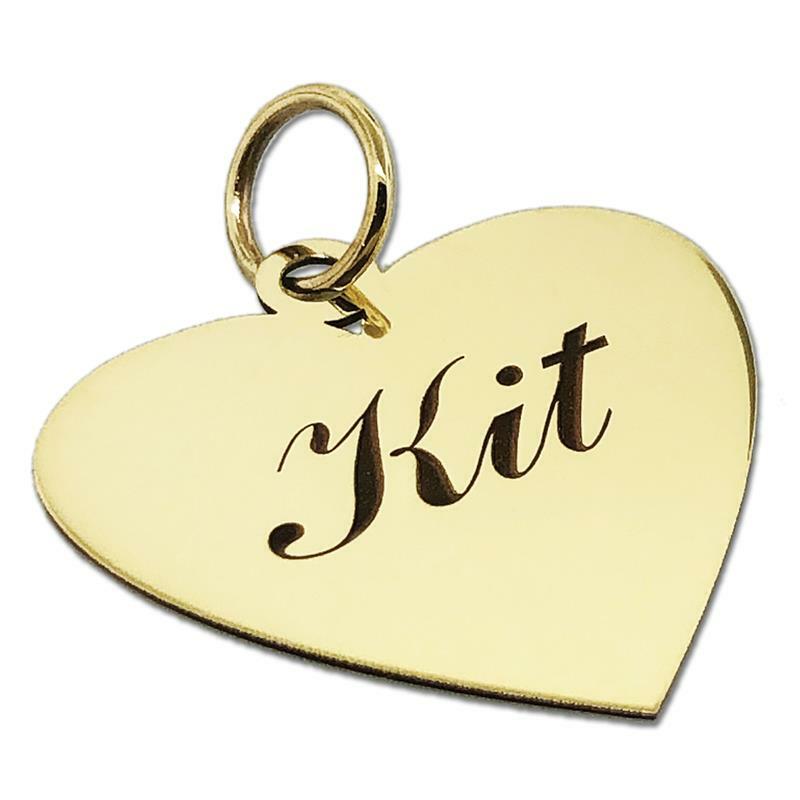 What better way to express your sentiments than by having a customizable gold heart pendant laser engraved with your own personalized inscription available in your choice of letter on the front and back. 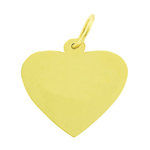 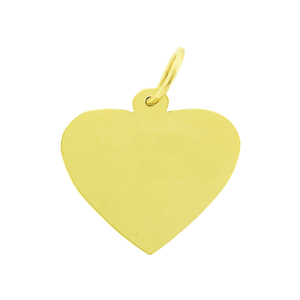 An optional birthstone setting makes this a gold heart pendant anyone would fall in love with. 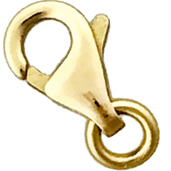 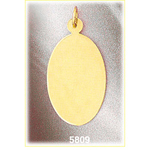 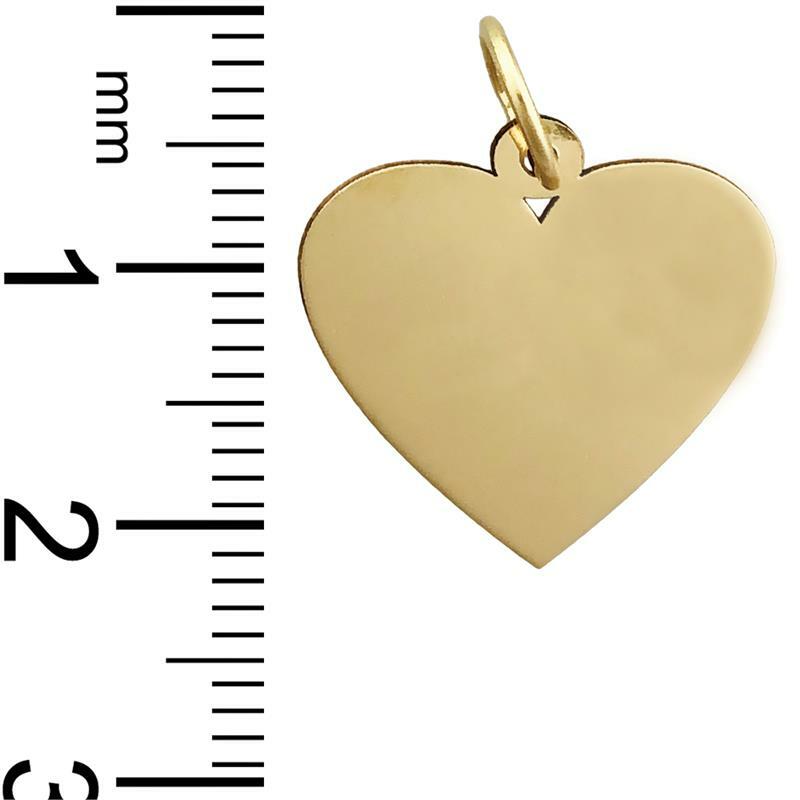 Charm is crafted in 14k yellow gold featuring a polished finish with flat back, it measures approximately (18mm - 3/4") in width by (16mm - 5/8") in height and weighs 1.8 grams, it is recommended for necklaces.